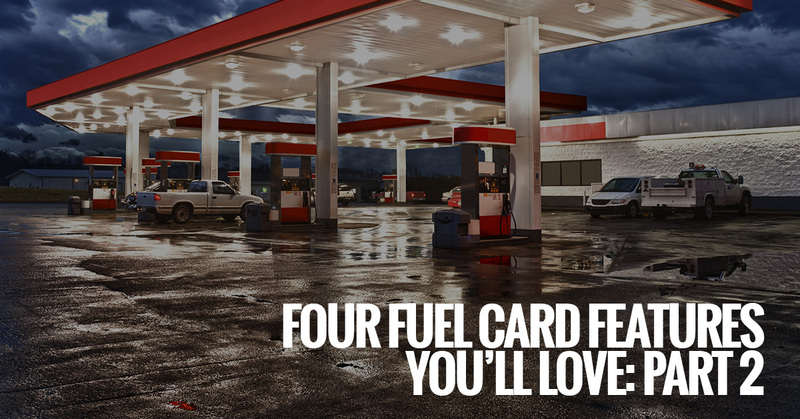 In our last blog post, we started talking about some of the features that you’ll be able to enjoy when you start using a fuel card for your fleet, but we were only able to cover two. There are four features that we believe every fleet manager will benefit from when they choose to incorporate a fuel card into your system management. If you haven’t had a chance to read part one of the blog, make sure to do that first and then head back to the remaining two features you can enjoy through fuel cards. Most fleet managers will have a specific fuel type that drivers are supposed to stick to. Though you may ask this of your drivers, how in the world are you going to ensure that every driver is sticking to this request, each time that they fill up? There’s no good way of doing this without the use of tools that can help you keep tabs. And that’s where fuel cards come in. The fleet card that your drivers use will also notify you of the type of fuel that your drivers are using and will provide you with these notifications as they use the card. The difference in fuel types may not seem like a big deal, but it can be the difference between a couple of hundred dollars during each fuel up. That’s not play money, and it’s certainly not a situation that you’d like to end up in as a fleet manager. Avoid this entirely with the help of Reeder Distributors fuel cards. Getting your merchandise delivered on time is something that you are pushing for as a fleet manager. Every minute and each stop plays a part in the schedule of your business, and it’s essential that your drivers understand just how crucial it is that they stick to it. Aside from that, you want to feel confident in the condition of the truck and have an idea of the overall use of it. A significant benefit to fuel cards is that they can tell you when a truck hasn’t fueled up or used the fleet cards for fills in prior months. This could be happening for a handful of reasons — from the use of a different fuel card to simply not driving or using the card, you can get a grip on all serious issues when you notice that a truck has been idle. Fuel cards are a great way for fleet managers to ensure that their drivers are doing their jobs and sticking to the guidelines that they were given. More than that, they’re a method of management and organization that fleet managers can take advantage of. If you are ready to get started using fleet cards for your business, reach out to Reader Distributors Inc. today. We can answer any questions you may have and help you with all inquiries. Contact us today and let us get you set up with your fleet cards.